Cat are not little dogs and there are significant differences from dietary requirements to the diseases they suffer and the drugs used to treat them and how they are metabolise them. Cats are solitary hunters and territorial which means they are strongly bonded to their home environment. This can make coming to the vets very stressful. We understand this and have a separate cat waiting area and a separate cat ward for any feline patients. We don’t shut up shop and refer your pet for the long trip down to Adelaide like all the other practises in the area. 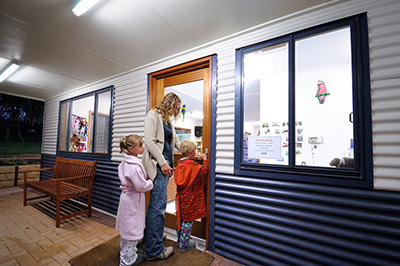 For registered Clients of Mt Barker Veterinary Clinic we offer onsite emergency care, 24 hours a day, giving us access to your animals records to ensure continuity of care and fast, personal service as well as the convenience of not having to travel down to Adelaide. This is a real benefit in the common case of snakebite and other emergencies where time is of the essence. Cats should be vaccinated against Feline Enteritis and Feline Respiratory Disease. Feline Enteritis is very contagious and signs include fever, depression, vomiting, diarrhea and dehydration. 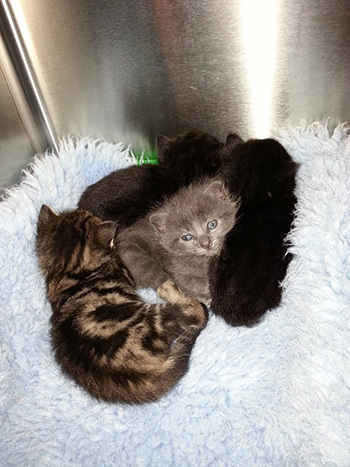 Infection of pregnant queens can result in stillbirths or kittens with brain damage. Feline Respiratory disease is a highly contagious and causes sneezing, coughing, runny eyes etc. 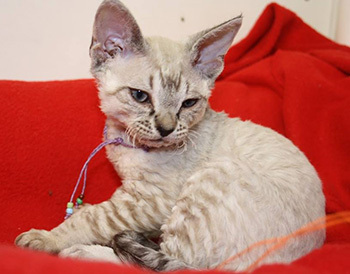 We recommend that kittens start their initial course at 6-8 weeks with a second vaccination at 12 weeks. All Kittens and Cats who don’t receive this initial course will still require an initial vaccination course of two vaccinations of Fel3 four weeks apart followed by an annual booster. At these visits a full clinical examination is performed and advice given on worming, flea control, health, diet and training etc. There has been an increase in the number of Feline AIDs cases in the Mount Barker Area. If your cat has access to outside you should consider FIV vaccination. Please speak to your Veterinarian if you need further information. A microchip is a permanent method of electronic identification. Each chip has an unique number that is registered on a central database with your details and details of your pet. We use the smallest chips available and implant them under the skin between the shoulders. It is very important to keep your details up to date on the database so if you move house or change phone numbers you will still be contactable in the event of your pet coming lost or straying. The easiest way to keep your details up to date or transfer to a new owner is to search www.petaddress.com.au this site will redirct you to the database that lists your pets microchip number and details. A “M” tatoo is no longer considered essential but if your pet does need an anaesthetic it can be performed at that time. Cats become sexually mature at a young age so we recommend desexing before six months of age unless you are going to breed. Early desexing is available. We offer a full breeding Service and advice including nutrition, from preconception to post birth. 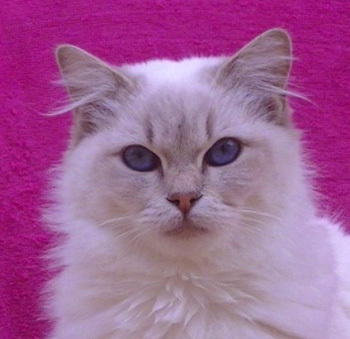 We have a number of cat breeders on our books so get lots of practise! 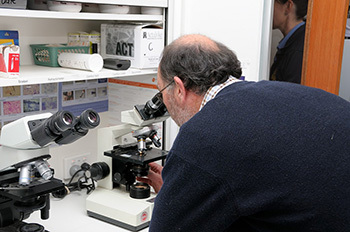 Our Vets are very experienced in the diagnosis and management of feline reproduction issues. Our team is very practised at caesarean sections either as an emergency or elective and our kitten survival rate is outstanding. Yes, cats do suffer stress! This is the cause of one of the the most frustrating problems of urine spraying. Another common problem is overgrooming. Dr Ambrose is only too pleased form a management program to ease Kitty stress. Dr Ambrose has a special interest in behaviour and has attended many behavioural seminars. Behavioural consults take a longer time than usual consults and a pre consult behavioural questionnaire needs to be filled out before your initial behaviour consult. Nervousness, Anxiety or aggression can also be helped. We offer in house testing for FIV (Feline Aids) and FELV (Feline Leukemia), Anaemia, and clotting tests for snake bite and Rat Bait poison, Urine Analysis as well as glucose monitoring for diabetes. We also do skin scraping, ear smears and faecal worm examinations. We prefer to utilize the expertise of an outside laboratory (Gribbles) for a more extensive workup and full blood analysis. They pick up the samples several times a day from the clinic and electronically send results and reports through to the clinic so the vet can get the information as soon as possible. We have a dedicated X-ray room and automatic processor and can do all x-rays as needed. 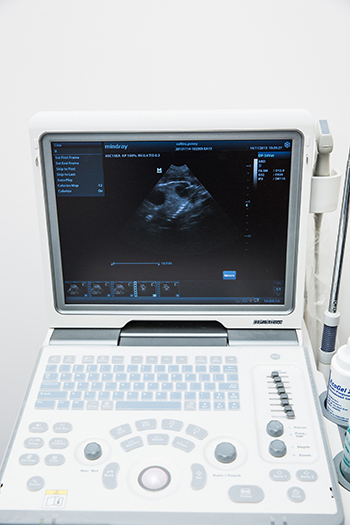 Ultrasound uses high frequency sound waves to scan your Cat and is very helpful in the diagnosis of bladder stones, tumours, blockages and other abdominal conditions. We can also view your pets heart working in real time. We also use it to diagnose pregnancy in Queens. For complicated medical cases we have a visiting Ultrasound specialist that comes to the clinic. A large component of our practice is skin and ear problems. All our vets have a special interest in dermatology. Skin scrapings and ear smears and a full history are routine to help us diagnose and treat the problem. We offer advice for the control of chronic allergic skin disease. 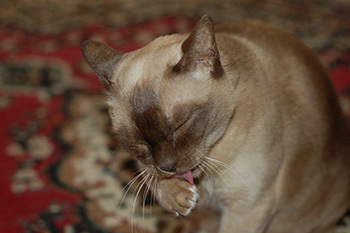 Having a clean healthy mouth is most important for your cat’s health and wellbeing. Dental disease can affect other parts of your cat not just causing ongoing pain in their mouth. Can you imagine trying to eat your dinner or bones with broken or cracked teeth or exposed root. We offer advice on preventive oral care to keep those teeth shining and your cat pain free. Part of the new clinic build was having a dedicated dental area with a special dental treatment table and state of the art Dental Unit. We can perform all routine dental procedures such as baby teeth extraction, teeth extraction, ultrasonic scaling etc. With our purpose built new hospital we have a dedicated sterile operating theatre for all our sterile surgeries. Our up to date Anaesthetic machines are equipped with Respiratory, Pulse, Oxygen and Blood pressure monitors just as you would see in any Human operating theatre. We have trained Veterinary Anaesthetist nurses to monitor your cat during all surgeries and recovery afterwards in the recovery and intensive care area. In this theatre we perform operations such as desexing, cesareans, Tumour removal, lumpectomies, orthopedic, soft tissue, intestinal and organ surgery. Our high standards of care means it is mandatory for all surgical patients to have intravenous fluid therapy and pain relief using a multidrug protocol. Pain relief is an important part of post operation recovery. 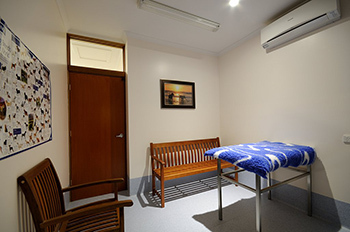 We have a separate large treatment room complete with anaesthetic machine and a full range of monitors for all minor procedures such as grass seed removal from ears or stitch ups or abscess draining etc We also have a “wet” treatment table connected with water and flushing equipment for messy things such as enemas. Dr Ambrose has an interest in chemotherapy and having done further study on chemotherapy we have been offering chemotherapy at the clinic for a number of years now. He has had a lot of success with its use. Every patient’s course is tailored to their individual needs this may be Curative, Metronomic (small doses to slow or stop tumour growth or disease progression) or palliative. Like any form of insurance, pet insurance helps cover the cost of the unexpected. Statistics show that 1 in 3 pets will require emergency treatment from year to year. Increasing numbers of clients are now getting their pets covered and we have many happy clients who have had emergency treatment covered who would of had trouble affording it otherwise. Whilst we do not endorse any particular insurance provider most are covered by the same underwriters. Each provider has different levels of cover and it can be sometimes like comparing your own health insurance. Some just cover accident or emergency while others provide comprehensive cover for any veterinary services but you may opt for just an accident policy. Some will pay 100% of the claim, while others have an excess. Most don’t include preexisting conditions or genetic diseases. Most have an upper limit on cover. You need to choose a cover that meets your expectations and budget. When a claim is made you generally pay your account at the Clinic then you are reimbursed from the insurers. They don’t pay us directly. You can search the net or check at the front of the clinic for a current comparison of providers. Dr Digby Ambrose recently completed a 26 week course of chemotherapy on a dog with lymphoma which cost in excess of $5000.00 The clients didn’t have to pay anything as they had insurance. If they weren’t covered they would of had to compromise on treatment . There is no time more difficult than the last few days of a pets life and regardless of how much time you have had to prepare, the decision to euthanise your friend will not be easy. Through out the life of your pet you have been concerned about their quality of life, but at this moment quality and dignity become immediate. We will give you all the information and support to enable you to make this end of life decision. All our staff are very sympathetic to this difficult decision. We can perform euthanasia at your home if desired. Many studies have shown shielding children or making up stories eg”fluffy ran away” is destructive. It is important parents appreciate a child’s ability to comprehend death and to discuss it more in the light of “The cycle of life” and how the pet is no longer suffering but is now at peace. Grief is a normal manifestation of loss regardless if the beloved friend is a person or a pet. You should be aware that the loss of a pet could cause physical and emotional changes that can last for weeks or months. You may wish to contact a grief counselor or pet loss support group. We try to give you the best treatment options and choices for your pet. We allow you, the client to make the choice to fit your individual situation and budget. In some cases we may recommend referral to a veterinarian specialist. If you feel that your current provider is pressuring you or you have been given an estimate you feel is excessive, we are only too happy to give you a second opinion and a realistic estimate.